Free for teams up to ten. Being a good steward of your resources as a church body starts with having the right tools and organization in place. With Backlog, your church can track dontations coming in and details such as who is giving and how much. 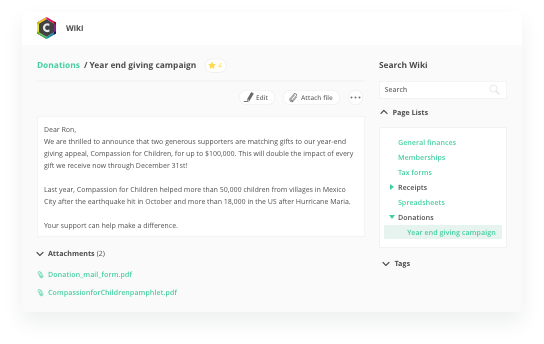 Next, you can use wikis, your own built-in database to save files such as tax forms, receipts, and any spreadsheets needed later on for your records. 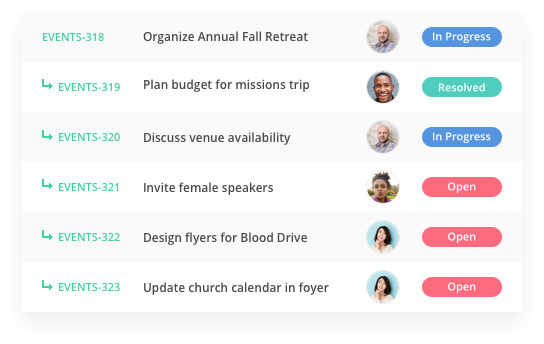 For many churches, one of the biggest needs in a church management tool is for managing events. Whether it's an upcoming retreat, youth rally, conference, or another large event—you can now keep track of the details in one place. 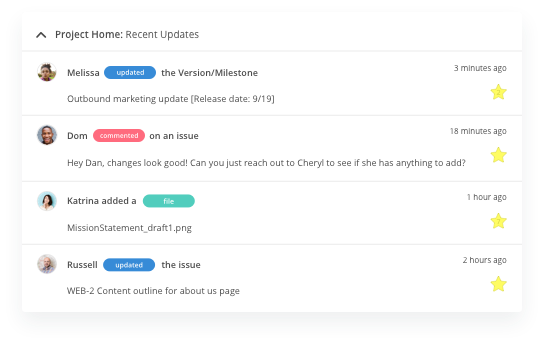 Break down your event with subtasks, which are manageable steps you can split up amongst your staff. Members can see which tasks are assigned to them, so everyone knows what they're responsible for.